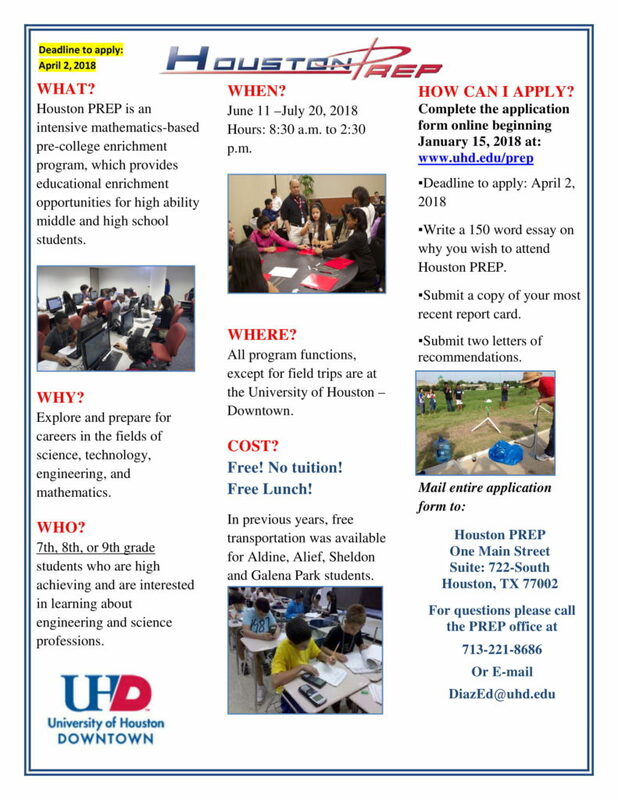 Houston PREP is an intensive mathematics-based pre-college enrichment program, which provides educational enrichment opportunities for high ability middle and high school students. The program has been successfully running for years and recently has become a successful partnership between Harmony and UHD. 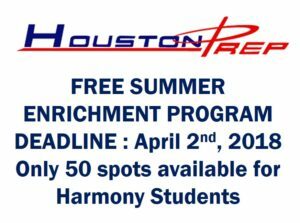 50 spots have been secured for Harmony students and the application deadline has been extended for another week. This is a great opportunity for students. Act fast since there are limited spots available.